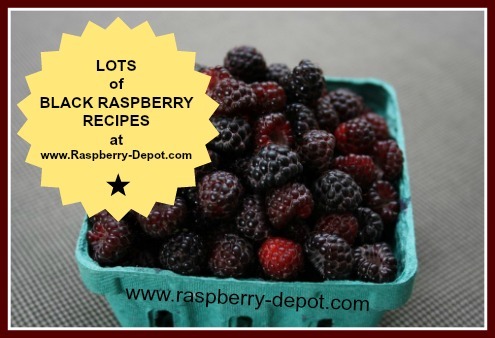 Are you looking for Black Raspberry Recipes? Perhaps you have Wild Black Raspberries on hand, or "Black Caps" and you are searching for the best recipe ideas of what to make with them. There are so many recipe ideas using black raspberries -- if you have them on hand you are one of the lucky few! Black Raspberries make the most amazing and healthy black raspberry smoothies, muffins, cakes, pies, desserts, crumble, jams and much more! Black raspberries are very high in antioxidants too! Black Raspberries or Black Caps Make Yummy Recipes! If you are fortunate enough to have black raspberries, (often referred to as "black caps"), on hand, you will probably have noticed that there are not many raspberry recipes that specifically call for black raspberries in the list of ingredients. I have found that in most cases, you can easily substitute black raspberries for red raspberries in the ingredient list. Use the navigation bars at the left side or below for mobile for links to hundreds of raspberry recipes that can, in most cases, be modified to include black raspberries, wild raspberries or black caps instead of red raspberries. Peruse the recipes and, in most cases, although not specifically noted, you can substitute black for the red berries. In fact, other raspberries, such as yellow raspberries, and purple raspberries, and even blackberries (not to be confused with black raspberries), often work well as substitutes for red raspberries, with equal recipe success! When choosing raspberry jam and raspberry jelly recipes however, I would suggest selecting a recipe which specifically lists black raspberries in the list of ingredients. The natural sugar content in black raspberries may differ slightly from that of the natural sugar content in red raspberries which may affect the flavour and preservation quality of the preserves. 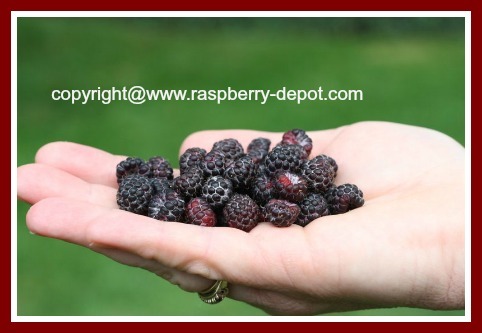 Making black raspberry jam or jelly is a great idea if you have black raspberries. Since black raspberries are such a delicacy, you can enjoy them a little at a time, on your toast, pancakes, waffles and scones! Or, bake delicious raspberry tarts with black raspberry jam centers ... so scrumptiously scrumptious! Making black raspberry ice cream, or raspberry sorbet, also allows you to enjoy your special raspberries a little bit at a time! Here, below, are recipes which were created specifically with black raspberries in mind. Don't limit yourself to these though...check out the over 400 other recipes on this website - Raspberry-Depot.com!